One reason my wife and I work to master our finances is so we can travel when we want to. Most of this travel revolves around our current love of cruising, but we also like to go to theme parks and visit family. 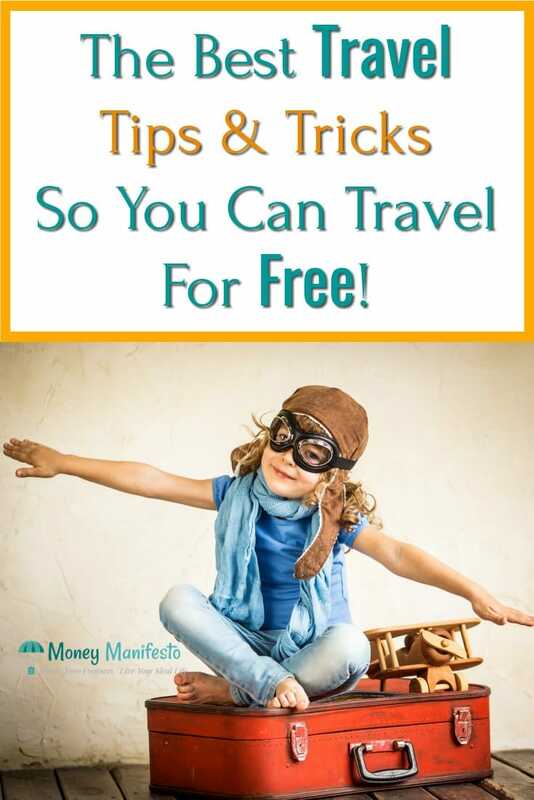 Over the years, we’ve shared quite a few posts surrounding our trips, how we travel for cheap or free and other travel hacks to help you save money. This post will consolidate all of these posts in one place for your future reference. I’ll also update this post as I add more travel related posts. One key to keeping our travel costs low, or even traveling for free in some cases, is using credit card rewards and sign up bonuses to pay for our travel. Here are some great resources to help you do the same. This Is How Credit Card Sign Up Bonuses Work – If you’ve never heard of a credit card sign up bonus or don’t know how they work, you should start here. How To Play The Credit Card Rewards And Sign Up Bonus Game – If you’re wary of using credit card rewards and sign up bonuses to pay for vacation, this post shows you exactly what you need to do to successfully play the game. Why Earning Credit Card Sign Up Bonuses Is Not Unethical – Now that you know how credit card sign up bonuses work, some people think they’re unethical. I think those people are wrong and I share why. Best Credit Card Sign Up Bonuses Available This Month – Every month I update this list of the best credit card sign up bonuses available to help you find cards to meet your travel needs. How To Get Free Disney World Tickets For The Whole Family – I detail a step by step process you can use to get free Disney World tickets for your whole family. This can easily save you $1,000 or more. Make sure to check out our trip reports for details about how to get a cruise for free. Whenever we go on a trip I think others would be interested in, we try to share a trip report showing exactly how much everything cost us. While we don’t publish a report from every trip, here are the ones we’ve shared so far. Our Disney World 3 Day Vacation – I shared exactly how much it cost my wife and I to go to Disney World for three days. Our First Cruise – Total Cost Report For A 5 Day Carnival Cruise – We shared everything we learned and all costs of our first Carnival cruise. Our Honeymoon Cruise – Trip Report Of A 7 Day Carnival Cruise – We shared how much we spent on our honeymoon cruise. Our First Almost Free Cruise Using Credit Card Rewards – I share the costs of the cruise and how we greatly reduced the cost using credit card rewards. Our First Free 7 Day Carnival Cruise As A Couple – Before our son was in the picture, we took a completely free 7 Day Carnival Magic cruise for two. 7 Day Carnival Dream Cruise Trip Report Out Of New Orleans – We shared the costs of this fun 7 day Carnival Dream adventure. Our First Completely Free 5 Day Family Cruise On The Carnival Fantasy – This was our first cruise with our son and we got it completely free using credit card rewards. A Cheap Weekend At Pensacola Beach With A Free Resort Hotel – We share about our weekend trip to Pensacola Beach and how we got the amazing resort room for free. Whenever I find a way to save money on traveling, I usually try to share it so everyone else can save, too. Below are some of the travel tips and thoughts I’ve written about broken down by category. Disney World can get expensive quickly, but we’ve always managed to find ways to go for a semi-reasonable price. Here are a few ideas for you. 10 Ways We Plan To Save Money On Our Disney World Vacation – Prior to leaving for our Disney World trip, we detailed 10 ways we planned to save money on the trip. How To Park For Free At Disney World And Why We Didn’t – Prior to our Disney World vacation I found a way you can park for free and save some serious cash. I also share why we decided against it. How Theme Parks And Movie Theaters Price Gouge For Food And What You Can Do About It – I share our experience and observations from a Disney World trip about the prices of their food. Cruises are our family’s favorite way to vacation right now. We think they’re a great value, but these tips can help you out even more. 11 Hidden Costs On Carnival Cruises For New Cruisers – As a new cruiser, you don’t always know what is included in the cruise fare and what costs extra. This helps shed light on hidden costs that could bust your budget. How Carnival Cruise Price Protection Saved Me $160 – By simply following the rules and checking our cruise price after we booked, we were able to save $160. I share how it works. Cruising With A Six Month Old – How We Fared And Tips For Others – I shared tips for cruising with a six-month-old right after we returned from our son’s first cruise. Is Travel Insurance Worth It? Our Experience Says No – I share our thoughts about travel insurance and whether it is worth it for us. Of course, you need to make your own decision for yourself. Not all vacations will be cruises or trips to Disney World. For all of the other vacations out there, here are some tips. 4 Easy Ways To Save Money For Your Next Vacation – Want to go on vacation but can’t manage to save enough money to make it happen? Try out these tips. One Change Could Save You Big Money On Your Next Vacation – I share one tip that could end up saving you quite a bit of cash on your next vacation. Cheaper Alternatives To Boarding Your Pets While You’re On Vacation – Boarding pets so you can go on vacation gets expensive. Here are a few cheaper alternatives you may want to try. 3 Easy Tips To Plan And Pay For A Guilt-Free Vacation – Cat Alford shares some easy tips to help. 5 Clever Ways To Save Money On A Summer Vacation – Cat Alford shares five ideas you might not have thought of. Are Staycations Really That Cool? – Cat Alford shares about her staycation and tips for yours. Here are a few posts that explore the ideas of how we value vacations and options people may have about how they use their vacation time. How Much Do You Spend On Vacations? – We share some stories of financial spending habits we’ve seen while on vacation and ask how much you spend on your vacations. Would You Give Up Vacations Forever To Retire Earlier? – Believe it or not, some people give up vacations to retire super early. I share our thoughts and whether we’d do the same or not. A Raise Or More Vacation Time? Which Would You Choose? – I think too many people focus on salary when they’re up for annual raises. Would you take more paid time off instead of a raise? Travel Hacking 101 by One Smart Dollar – Sean explains the basics of getting started with travel hacking. /r/Travel on Reddit – Plenty of inspiration for travel. Make sure to bookmark or pin this post and check back from time to time. We’ll always keep it up to date with our latest posts on the subject.